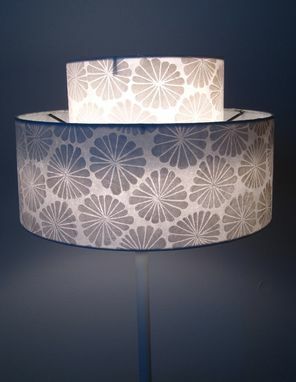 This is a hand printed lamp shade made with my original carved stamp. I printed white ink onto a translucent Japanese paper, adhered the paper to styrene(a lamp shade backing) and then hand rolled the paper onto the lamp shade wire. 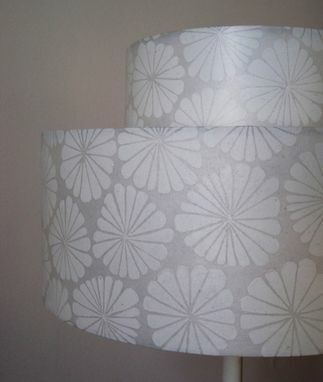 This is a two tier lampshade. Great for a small table lamp. diameter of bottom tier: 10"
diameter of top tier: 6"